Marjorie and Natalie have interviewed their fair share of job applicants. Today, they grab a glass of wine and talk about what drives them crazy about applicants and how to stand out from the pack. This week, 501Crossroads is on location at the AFP St. Louis Conference on Philanthrophy. 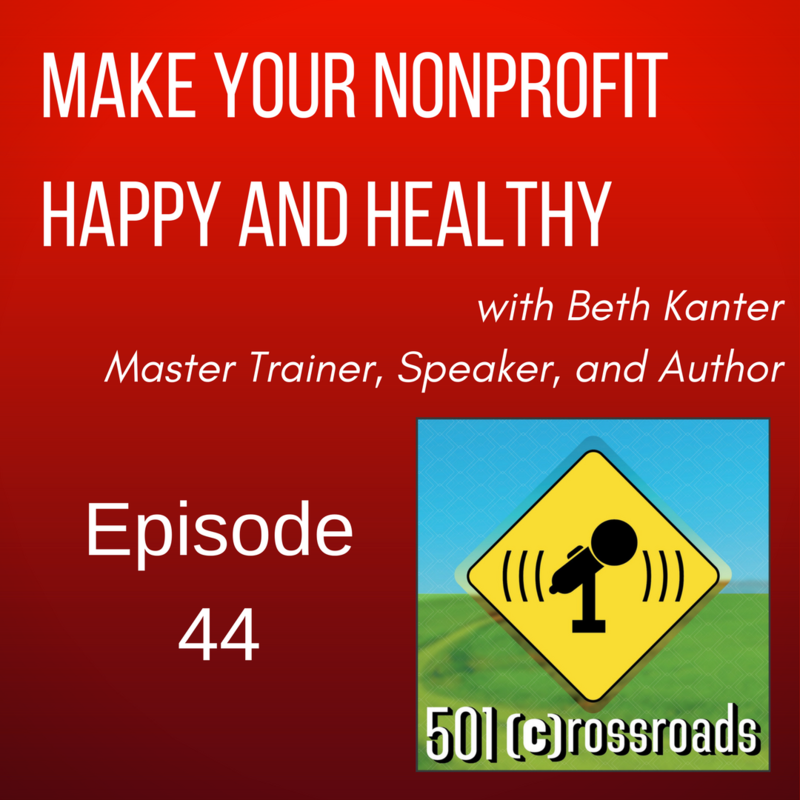 Beth Kanter, Master Trainer, Author, Blogger, Speaker Extrodinaire sat down with Marjorie to talk about everything in the nonprofit and tech world, mindfulness, the best conferences out there, and how to plan the best meetings. You can get Beth's latest book (and Marjorie's bible) Happy Healthy Nonprofit on Amazon or any great book seller. Check out the Emerging Leaders Playbook at http://www.emergingleader.co/. And connect with Beth on her website, on Twitter, on Facebook. Plus on her website, you'll find more ways to connect and her fantastic blog on all things nonprofit, tech, and balanced living. When we invite a guest back, you know she's great! 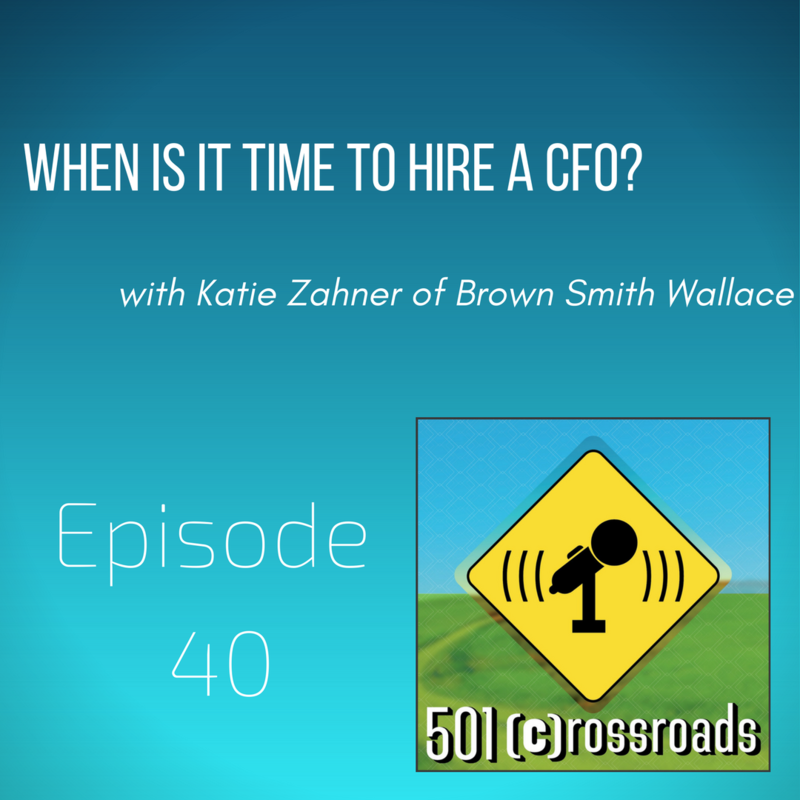 Katie Zahner from Brown Smith Wallace is back to help Executive Directors and boards of all sizes understand what the difference between an accountant, comptroller, and CFO is, how much each should be involved in your operations and planning, what questions to ask when hiring any of the three, and most importantly, when is it time to make the jump to hire someone full time to manage your organization's money. You can connect with Katie on Facebook and LinkedIn or call her at 314-983-1209 or email her at kzahner@bswllc.com. Finding an job as an Executive Director or being on a board trying to find a new Executive Director doesn't have to be a mystery! 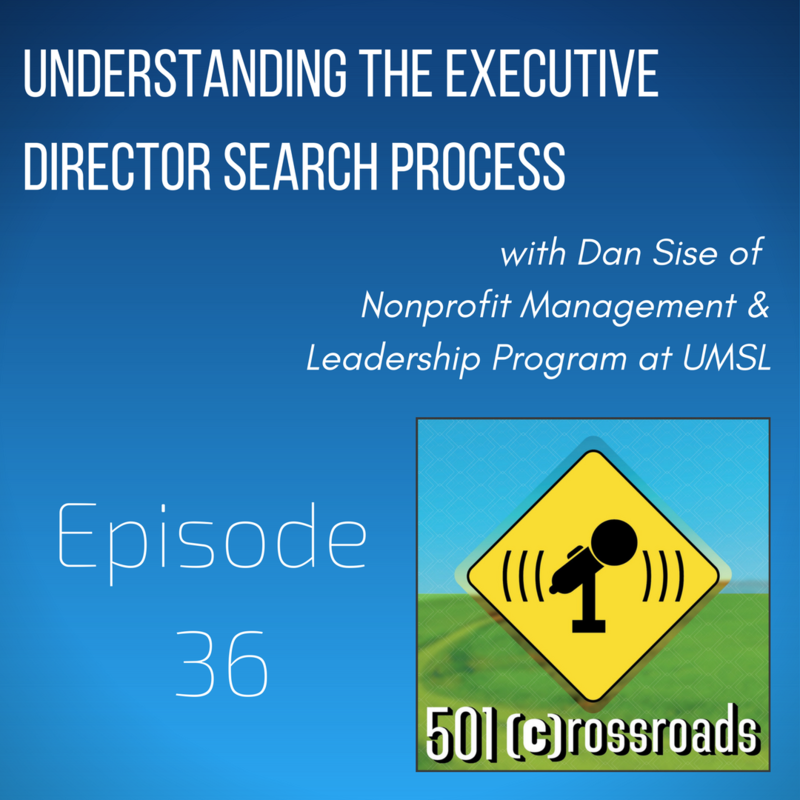 Dan Sise from University of Missouri- St. Louis' Nonprofit Management and Leadership Program stopped by to talk about the search, succession planning, whether or not to use a consultant, how to involve the staff and so much more! To talk more with Dan, you can contact him at sised@umsl.edu, call him at 314-516-6378 or find him on LinkedIn. And check out the for credit and noncredit classes available from the Nonprofit Management and Leadership Program at http://www.umsl.edu/npml/. New Year, New Job? Learn the seriously easy way to increase your chances of getting your next job by 10%! Marjorie and Natalie bring you a super sized episode today that covers everything you need to know to find and land your dream role. 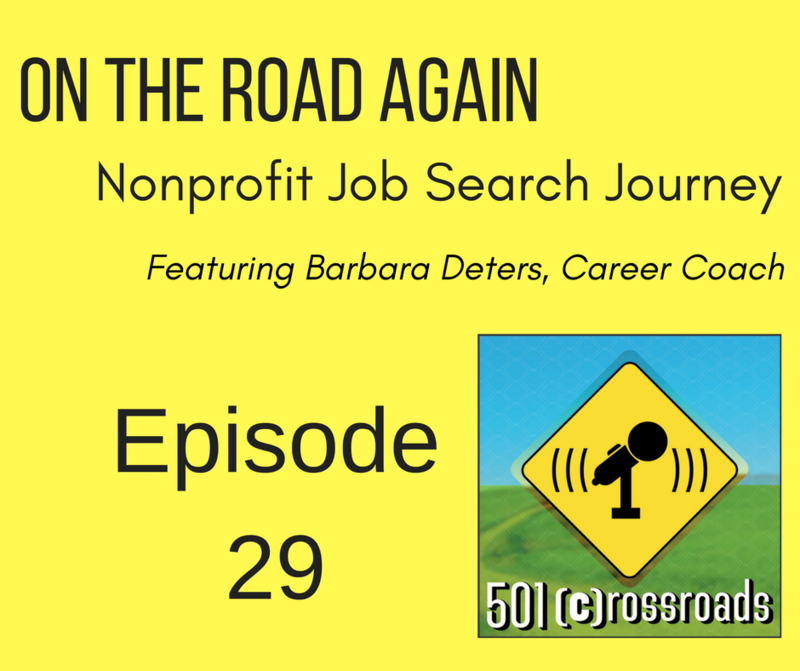 Barbara Deters is here with tips for your resume and cover letter, how to make your LinkedIn page work for you and gives her best advice for people just entering the nonprofit sector and those who are looking for their next move within the sector. If you love Barbara and want to connect with her or talk about career coaching with her, you can email her at barbara@detersconsulting.com, check out her website at www.detersconsulting.com, find her on LinkedIn, or call her at 636-222-4985. Interviewing can be a stressful experience, but Marjorie and Natalie sat down with a glass of wine to tell you how to get through it stress free!